How uber cool is this!? At first glance I didnt believe it was real, but looks like it is. MAC has developed a line inspired by denim. The Jean Dream line will feature: eyeshadows, lipglasses, lipsticks, nail polishes, blush, a Penultimate Brow Maker, and a Penultimate Eye Liner. 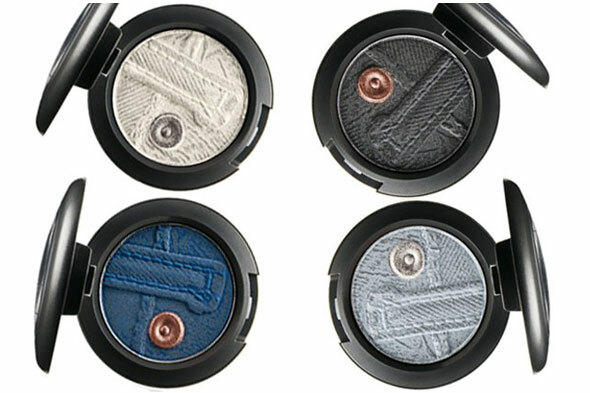 I dont know if the best part about this line is the bold jean influenced hues, or the adorable jean button design inside of the compact!